A 28-year-old Orange County police officer and a 38-year-old man from Fountain Valley were recently arrested by the FBI on suspicion of loan-sharking. Working with local police, the FBI conducted an ongoing investigation of the two suspects before making the arrests. Lending money for repayment at a much higher rate of interest than allowed by the law is considered loan-sharking and counted as both a federal and a state offense. It is not uncommon for “loan sharks” to use intimidation tactics, harassment, or blackmail in order to obtain repayment, and if threats are involved, the loan sharks may face additional charges. In California, the penalties for a loan sharking conviction vary depending on whether the accused is convicted in a federal or a state court, but often include a period of incarceration as well as a heavy fine. A repeat loan sharking conviction can result in even harsher penalties, such as mandatory time in prison. 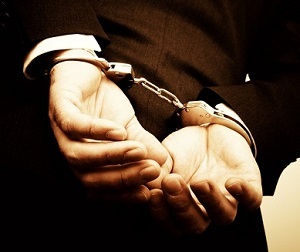 White collar crime cases can be complex and carry serious penalties. With an accomplished defense attorney, it is possible to protect your future and your legal rights. If you have been accused of loan-sharking in Orange County, do not wait to contact white collar defense Attorney Joseph H. Low IV to learn more about the best course of action for your circumstances. Call (888) 454-5569 for a free consultation.